Seven thousand early childhood educators, from 350 centres across Australia walked off the job from lunchtime last Friday to call on the federal government to fund equal pay. This was Australia’s biggest early education walk off. This is unprecedented action from the sector, and the fourth walk off in 18 months. Educators are mobilising to send a message to the government. Time’s up. For too long the government has ignored and failed educators by not funding equal pay. Educators are making equal pay an election issue. 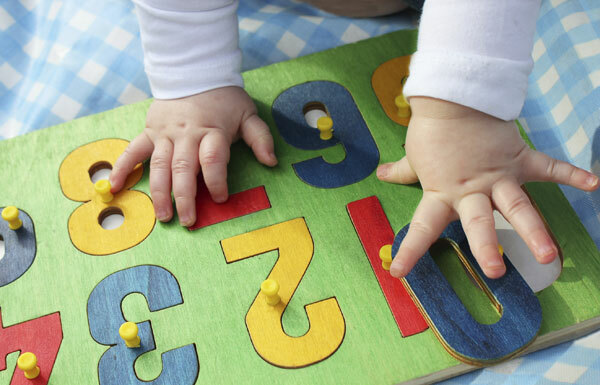 Queensland-based early childhood educator Kirstie Fildes says: “We are qualified professionals doing crucial work in our children’s earliest years, yet we are paid as little as $22 an hour. Early childhood educators have had enough of this Government caring more about their own jobs than our work educating Australia’s next generation. “Time is up for this government, we need equal pay now. A responsible government would have funded this already. Helen Gibbons, assistant national secretary of United Voice, the early childhood union and a former educator says, “Time’s up on the sector’s wages crisis. In 2018 it’s outrageous that Australia’s qualified early childhood educators are earning $22 an hour. The anger and frustration felt by educators has led to Australia’s biggest ever early education walk off today. “Educators have an enormous responsibility and duty. They are shaping the future, one child at a time. Educators are highly skilled professionals who each have qualifications and work to a national curriculum. “Every time this government asks more of this workforce, to upskill, to meet national standards, they do it. Yet, despite meeting these demands, pay rates are too low compared to industries with equivalent qualifications. It’s just not good enough for a feminised workforce to be facing such a staggering gender pay gap in 2018. September 5 was Early Childhood Educators Day – a day to appreciate one of the most important jobs in Australia. And a reminder that we cannot have high quality early childhood education in Australia without equal pay. Australia is a wealthy country: we can afford a world class early education system. Educators are walking off the job with the unwavering support of parents who have chosen to keep their children at home for the afternoon so that their educators can participate in the walk off. Educators fulfil a vital role in early education and families recognise that for this work pay rates should be higher and are supportive of the action. Families value the work educators do: childcare workers are stating that it’s time the government did too. Educators are walking off with the support of parents and their centres. Parents and carers have been informed in advance about closures. A new national workforce study has identified an alarming turnover rate of educators of 37 percent per annum. This is roughly double the national average and triple that of primary school teachers. Turnover is higher in remote areas, at 45 percent. Such high turnover figures are of national concern. It is time for this government to show commitment to the workforce that delivers early learning outcomes and take responsibility for funding professional wages for educators.